Please note that if you booked the Peru Culinary Bundle it does not include extra time in Lima and we highly recommend booking pre-trip accommodation. You will be picked up from your hotel at approx 10:00 am (10:30 from Aug-Dec) and taken to a local market and restaurant to prepare and enjoy a traditional Peruvian meal. You will return to your hotel around 13:00. Private transfer to the Lima airport to catch a flight to Cusco. Explore the ancient site of Moray, which archeologists believe was used to conduct agricultural experiments. Climb down to the bottom of the great circular depressions and notice how the temperature shifts with the depth – sometimes as much as 15°C (27°F)! Visit the pre-Incan salt pans of Las Salineras - still in use today. Marvel at the terraced pools set amongst the beauty of the Sacred Valley. 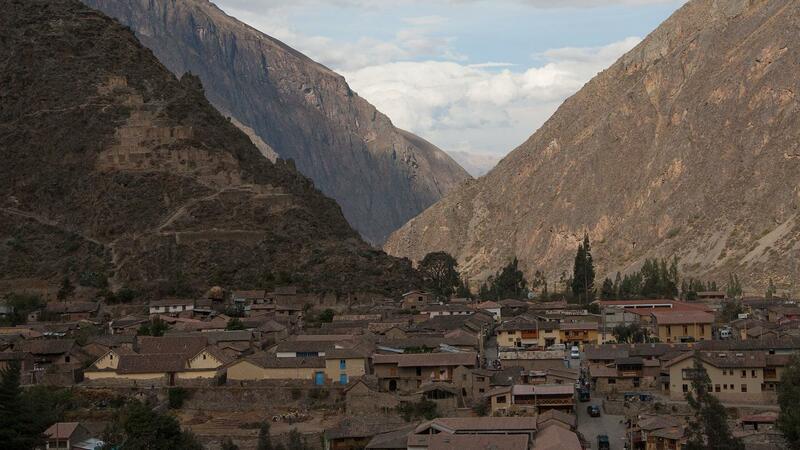 In Peru’s Sacred Valley of the Inca, six communities of approximately 6000 indigenous people are working together to preserve over 700 species of potato – a cornerstone of life here. As part of an experience exclusive to National Geographic Journeys travellers – and part of our G Adventures for Good program – visit this area, named “Parque de la Papa” (“Potato Park”), to learn about life in an Andean agricultural community. Walk through the park here with a local guide, dropping by the seed bank (which has direct ties to the Svalbard Global Seed Vault in Norway) and then head out to the fields to watch the planting or harvesting process, depending on the season. After, enjoy some of the delicious varieties of potato and visit the small stone hut where traditional weaving takes place. Learn about the natural dyeing process and witness alpaca wool strands being transformed into beautiful textiles through a centuries-old backstrap weaving style. Your visit to this special community means this local enterprise can continue earning an income that supports their development and conservation goals. Parque de la Papa (meaning "Potato Park") serves two important purposes for the community of Pampallacta: the preservation of agricultural biodiversity and economic opportunity. National Geographic Journeys travellers visit the park to learn about life in a rural agricultural Andean community and take a tour of the seed conservation program, which is preserving heritage potato species. They also learn about traditional planting, harvesting and indigenous weaving practices. With G Adventures' support, the community is able to create jobs in the area and invest in local businesses, which helps the community preserve their culture. 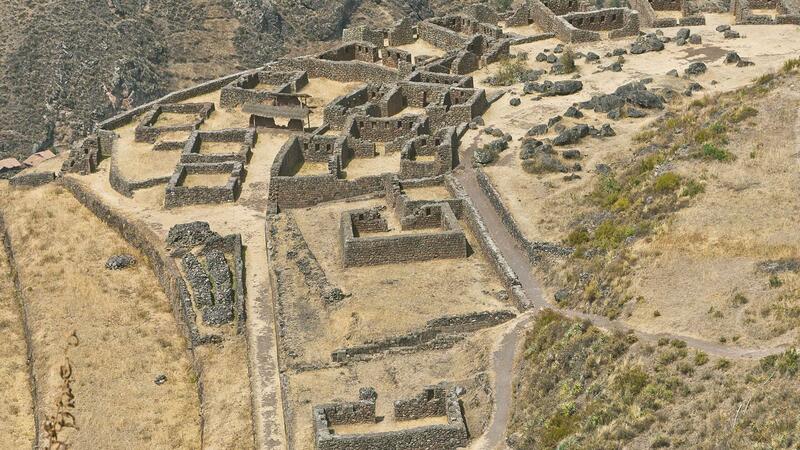 Tour the town and fortress of Ollantaytambo with a local guide. 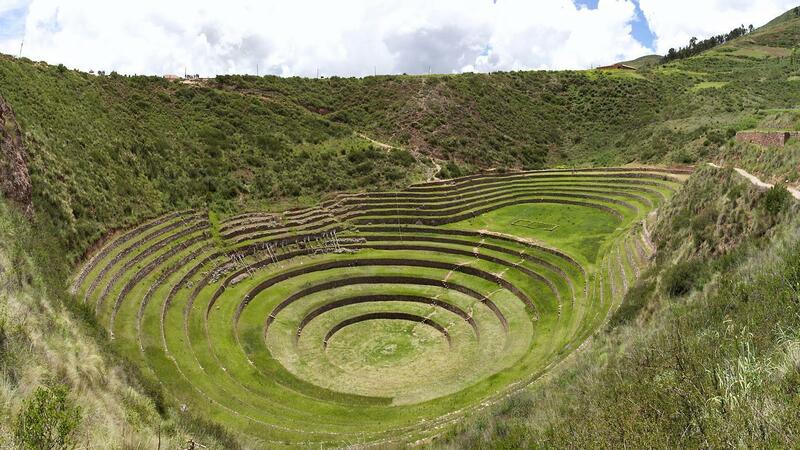 Take a step back in time at this Inca archaeological site; it still shows signs of its former glory, including agricultural terraces, a Temple Hill, and storehouses. Learn how the area, overlooking the Urubamba River Valley, was an important stronghold during warfare between the Spanish and Incas. Just can’t wait to be awestruck? Opt for an independent visit to Machu Picchu before your group tour. 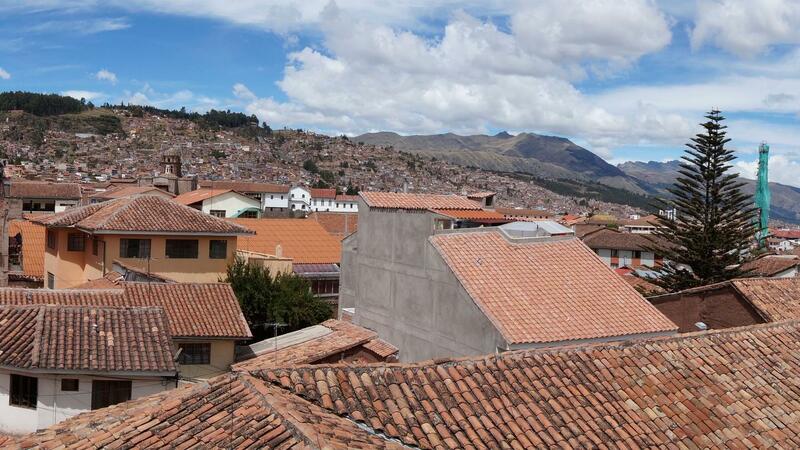 Rise and shine - the best time to see the Lost City of the Incas is in the early morning light. 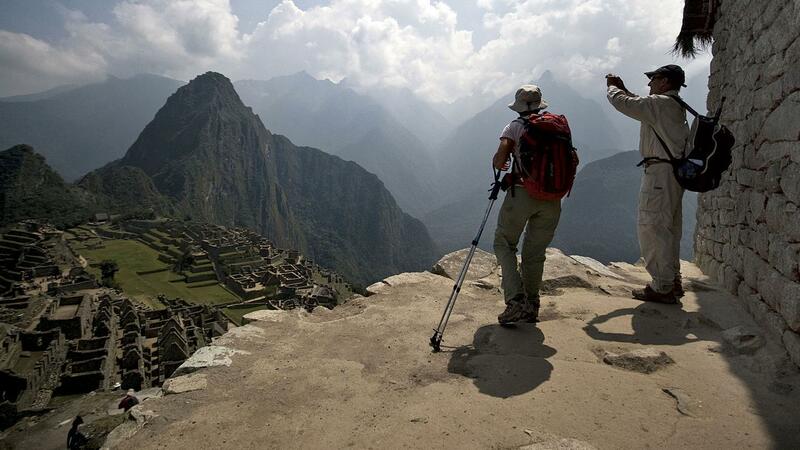 Follow the local guide to Machu Picchu to learn about its history at a leisurely pace. Gain local insight into the Inti Mach’ay cave, Inti Watana, the Temple of the Sun, the Temple of the Water, the Temple of the Condor, and the Room of the Three Windows. Take time to sit and feel the energy of this 15th-century site, now both a UNESCO World Heritage site and voted one of the new Seven Wonders of the World (in a worldwide Internet poll). Look to the night sky for a different view of the city. Explore the Cusco Planetarium surrounded by the serene nature of the Llaullipata Ecological Reserve. Enjoy a presentation on the southern sky, contemporary astronomy, and the ancient Incas’ relationship with the cosmos. Check out the on-site museum and use the telescopes to admire the stars (weather-permitting). Hop in the saddle and explore Cusco’s archaeological sites by horseback on a 3.5 hr tour - no previous experience needed. Dress for the weather, and bring sunblock and a hat, just in case. Private transfer to the Cusco airport to catch a flight to Lima. Private transfer to the Lima hotel. G Adventures for Good: Parwa Community Restaurant the Sacred Valley, Lamay. Arrival transfer. Two-day Sacred Valley tour including Ollantaytambo, Moray, and Pisac ruins and pre-Incan salt pans. Traditional pachamanca-style dinner. Scenic train and guided tour of Machu Picchu. Internal flights. All transport between destinations and to/from included activities. Explore ancient ruins off the beaten path in the Sacred Valley with our expert guide, take in mountain views on the scenic train to Machu Picchu, enjoy traditional treats and foods. FINDING YOUR TRANSFER - As you walk out of the airport there will be many drivers holding signs with agency or passenger names as well as taxi drivers asking you if you require their services. These are NOT our drivers and you should not accept their services. Please wait for our designated transfer person with a National Geographic Journeys sign board. Lima is a great city - should you wish an extra night or two, pre or post tour, please speak to your booking agent. IT'S YOUR RESPONSIBILITY TO HAVE THE CORRECT TRAVEL DOCUMENTATION.